Frank R. and Jeannette H. Eyerly, Des Moines; gift to NGA, 1994. Kaplan, Gilbert E. and Timothy Baum. 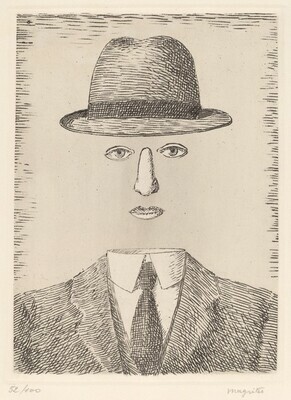 The Graphic Work of René Magritte. New York: II EDITIONS, 1982.